Party poopers. That’s the French. 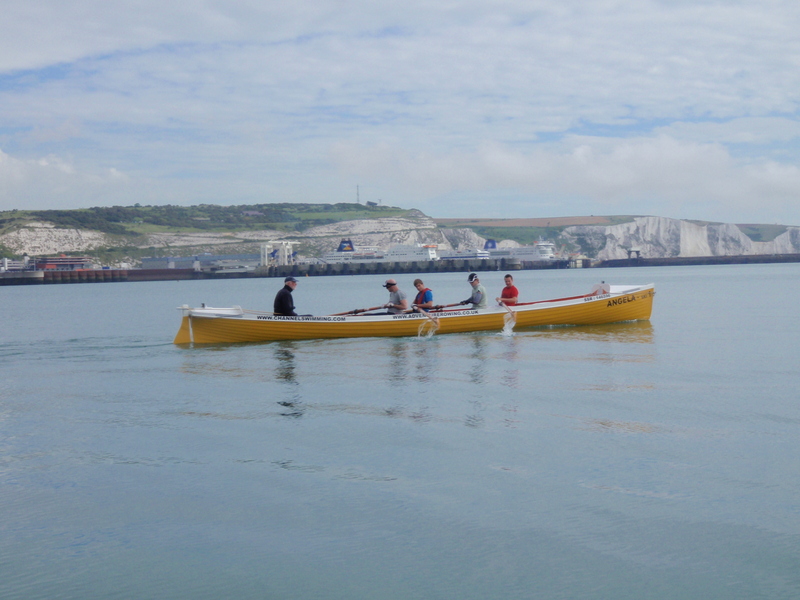 We had run 90 miles in relay from Marble Arch in Central London to Dover; we had rowed 26 painful miles across a lumpy, brown English Channel; we had cycled 185 miles from Calais to the Arc de Triomphe in the chaotic heart of Paris. After cycling a loop around the roundabout of the Arc, we swerved into the middle and walked beneath the triumphal French monument. Two police officers were on us in seconds. ‘No bicycles.’ One photo, we begged. One led to two, then several more, with the officers loitering close by. 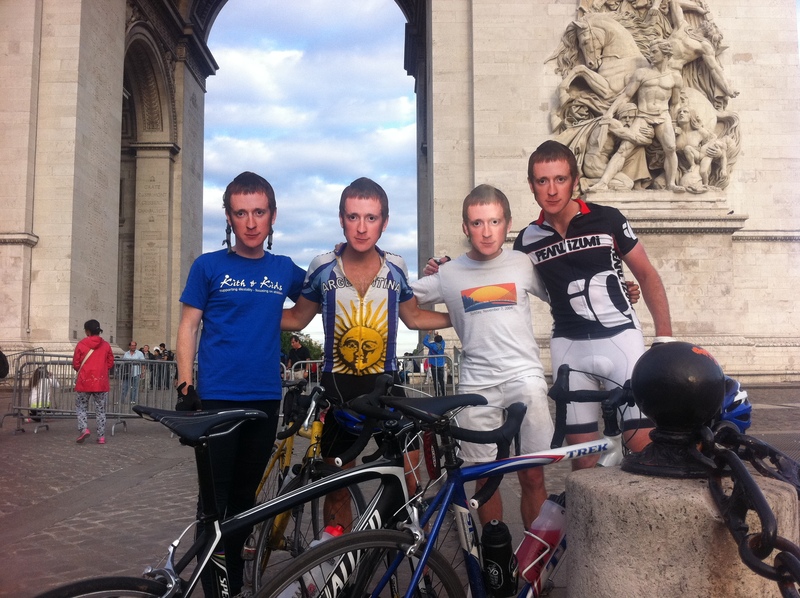 We had just enough time to pull on Bradley Wiggins face masks before we were shooed to a bar on Avenue de la Grande Armée. And – courtesy of officious French police officers – there ended a four-day, 300-mile Arch to Arc adventure that pushed mind and body to their limits. 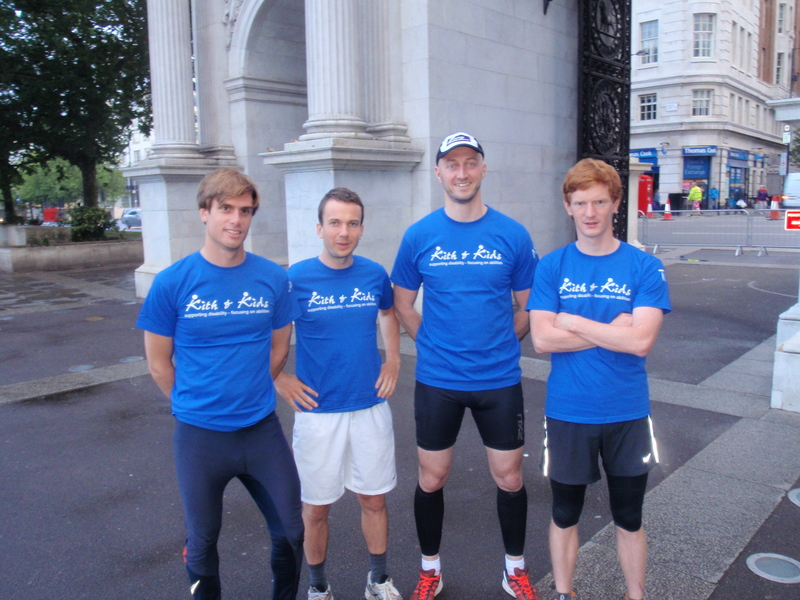 Team Arch to Arc – Nick, Tom, Will and I – set off from Marble Arch on a Saturday morning as Olympic volunteers swarmed towards a Hyde Park that would later host the women’s triathlon. The start of our personal triathlon took us to Victoria, then over Vauxhall Bridge, where – as planned – Tom continued alone, while Nick, Will and I met our directeur sportif, Nick’s dad, Steve. One of us would be running continuously for the next 14 hours. Escaping London via Crystal Palace, West Wickham and Biggin Hill, we then followed the rough lines of either the North Downs Way or the Pilgrims Way to gain Dover. We ran, some quicker than others. It wasn’t terribly eventful. Nick earned a few hoots and cheers by virtue of running in a Team GB vest; we only got lost on one occasion; I had a lovely piece of coffee and walnut cake in Charing. 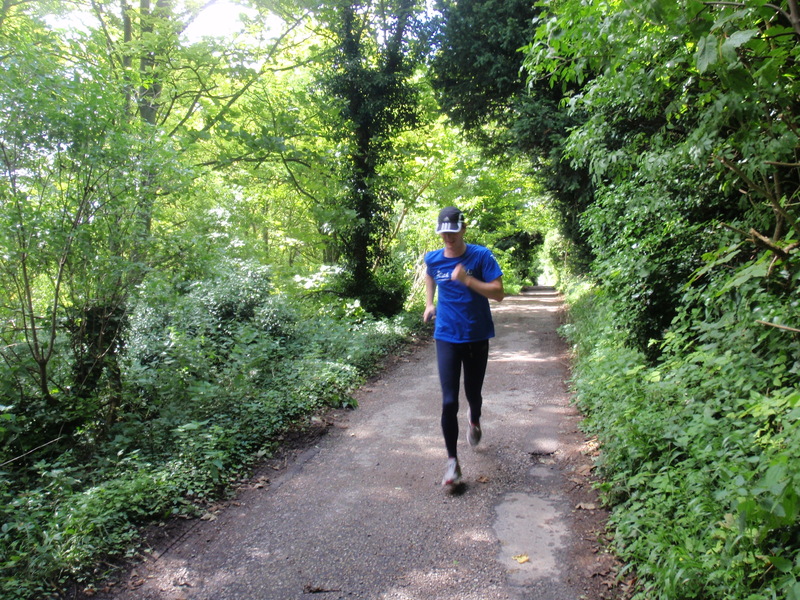 We ran the last 5.5 miles – from Capel-le-Ferne to Dover – together, arriving in time to watch Jess Ennis win heptathlon gold on the big screen in Dover, and taking our personal daily totals beyond 30 miles. Ordinarily, I’d write more about a run, particularly a 90-mile one, but something awful was about to happen. First, a back story. 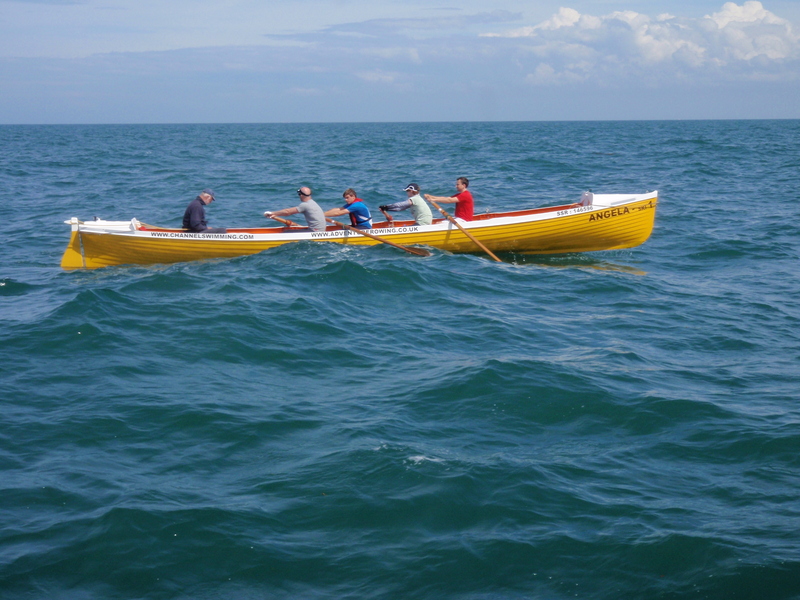 The four of us had only rowed together on three occasions. Those occasions were very hard. My longest row on a rowing machine was 80 minutes. 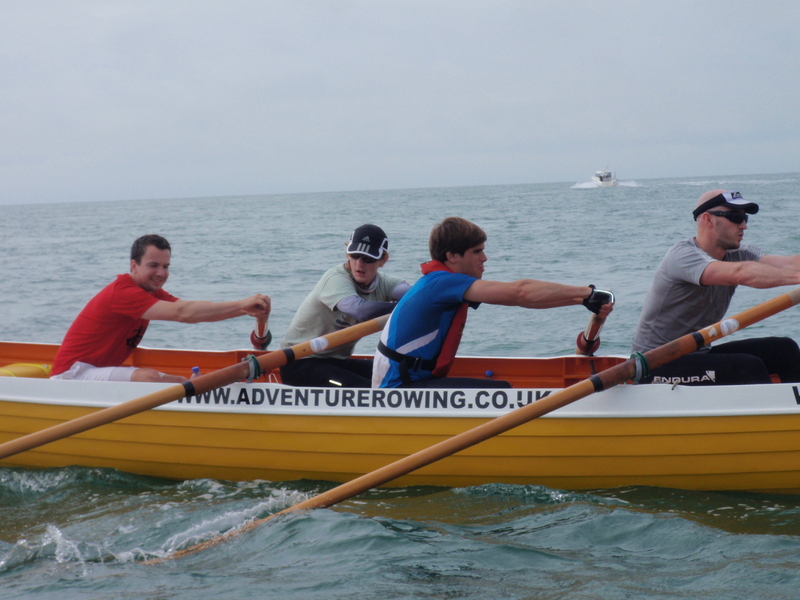 None of us are natural rowers or have any real rowing experience. We were, in hindsight, setting ourselves up for failure. We didn’t fail, but success would prove desperately hard. 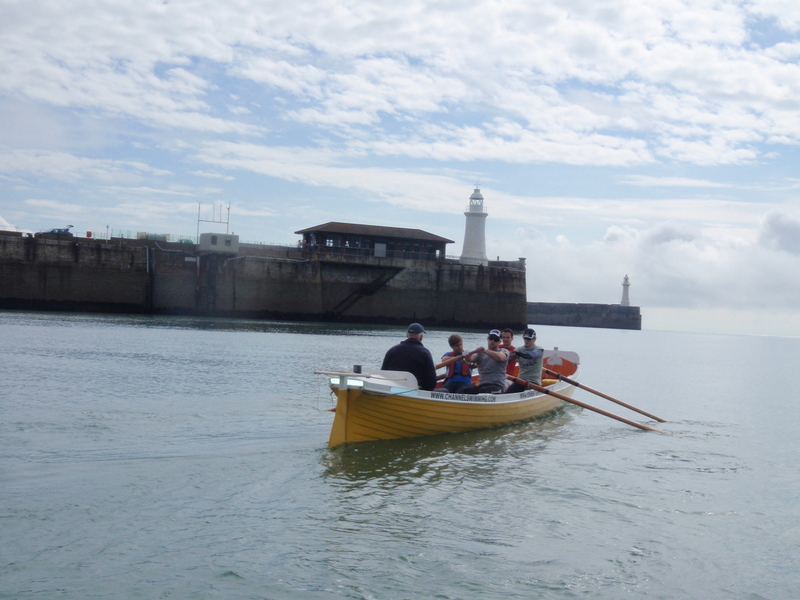 It all started so well, however: a steady row, a good rhythm, to emerge from Dover harbour. 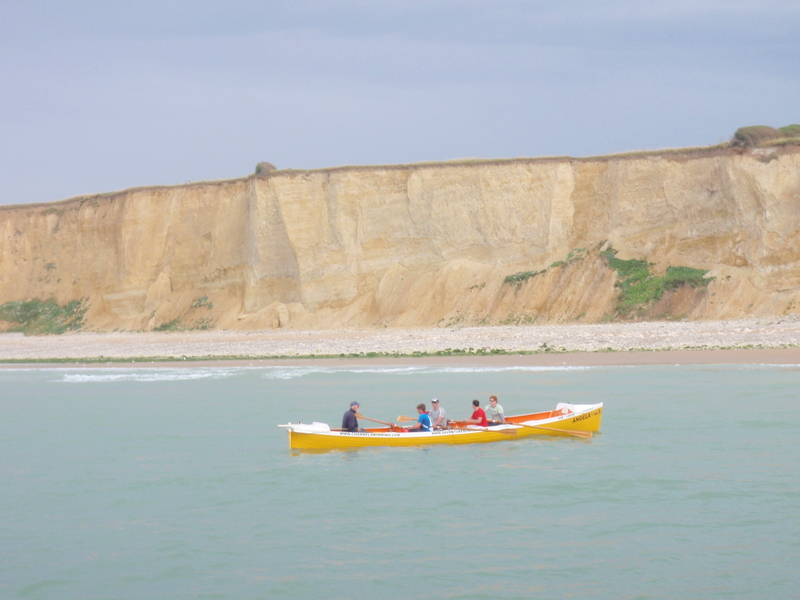 We watched those famous white cliffs recede very slowly and – gradually – began to detest them. Three hours in and we were almost half way. Nick and I were taking turns to stroke. We were eating and drinking regularly. Spirits were relatively high. It was magnificent to just be there – in the middle of this great expanse of water, a vast sky above us. The sea became choppy and crumpled. 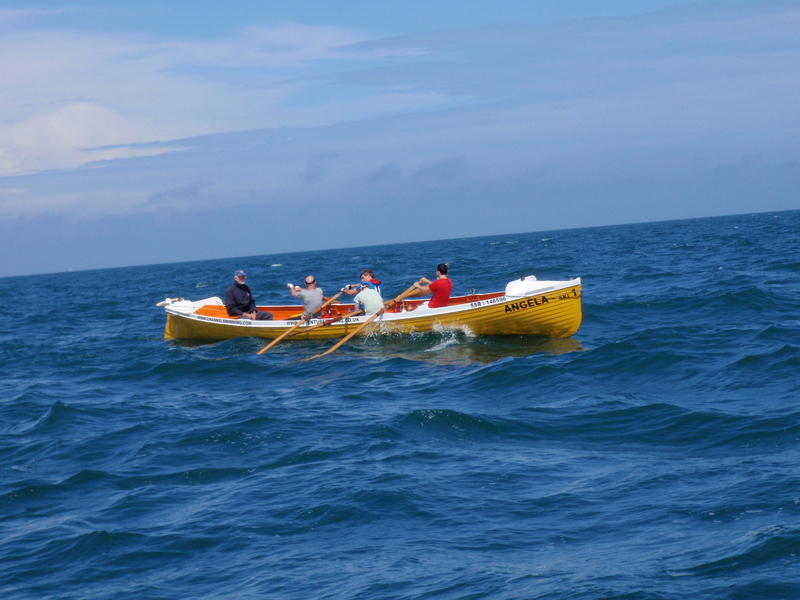 Waves buffeted our bows. The boat went silent. What followed was some two hours of dreadful exhaustion. We were rowing through concrete. 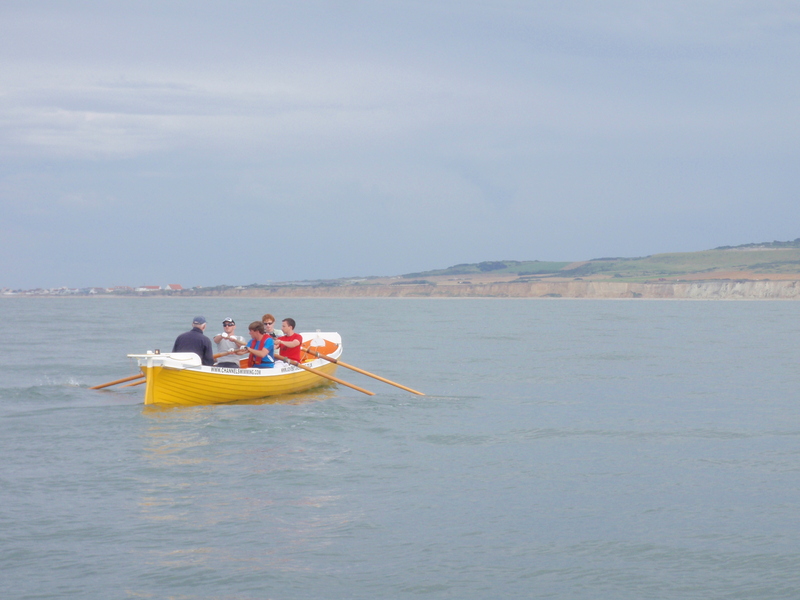 I was shattered, overawed by the waves, watching them approach, watching them slap our gig. Our pace dropped alarmingly. The French coast was a grey smear on the horizon, a million miles away. The cliffs of Dover – clearly still visible – mocked us. I can’t remember feeling much worse in my life, physically annihalated. We pulled through. Looking back, I’m not quite sure how. It wasn’t pretty or heroic. It was gritty and bloody-minded at best. What kept me going was the knowledge that others were probably suffering more. Nick’s hands were badly blistered and bleeding. 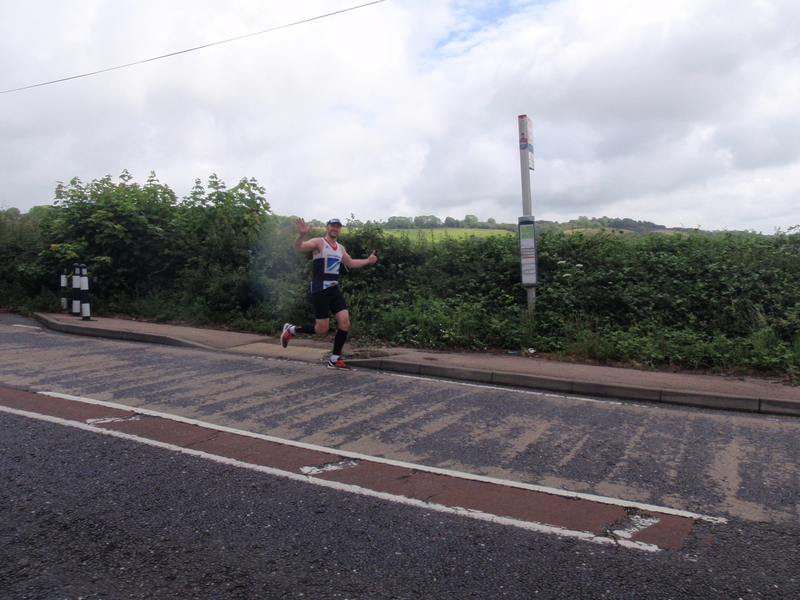 I at least had the benefit of recent experience of endurance events. If it were possible, there were worse moments. France was at last looming large; we thought we were nearly there. Oh no. Five miles to the beach, the information came from our pilot-boat. An hour later there were still two miles to go, although in far calmer sea. As much as we had hated the cliffs of England, we abhorred the cliffs of France. They formed a cruel optical illusion. Seemingly so close, but never getting closer. Stroke by stroke we got there until our pilot-boat stopped us going as far as the beach at Sangatte. Rowing crossings agonisingly stop some 20 metres shy of the beach, apparently. I imagined all of us had been hallucinating about dragging ourselves onto a French beach in the style of shipwreck survivors. It wasn’t to be. A rib would fast-track us to Calais. 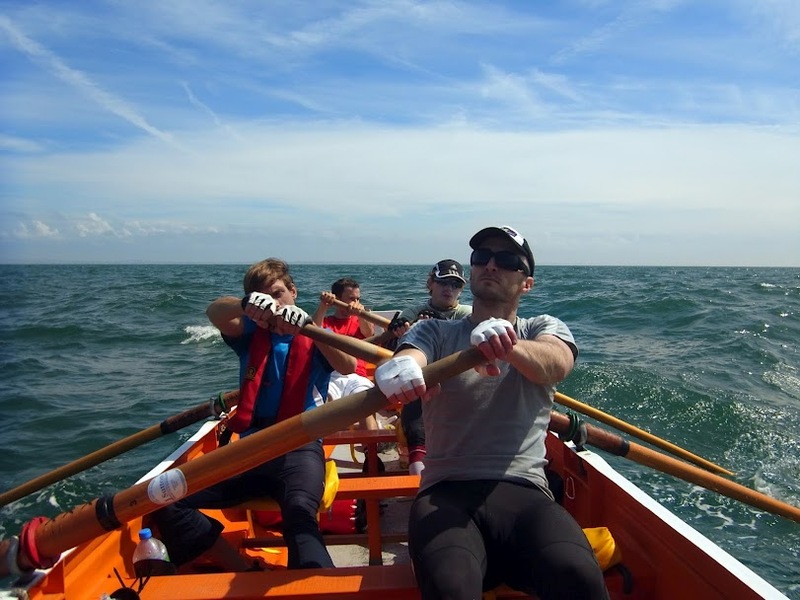 Never mind, we had rowed the English Channel – 26 miles in all – in seven hours and 26 minutes, of what, frankly, had been a hellish undertaking. Redgrave-esque statements about never stepping into a boat again were muttered. We meant it. 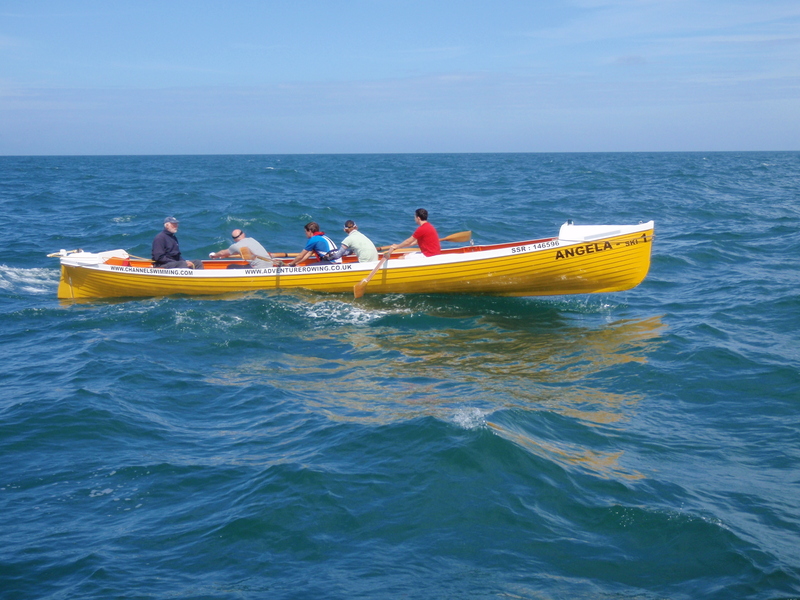 Yet, wandering through Calais I was struck with the realisation that I will do few greater things than row across the busiest shipping lane in the world – and being able to say that was just about worth the seven-and-a-bit hours of agony. The cycle had always seemed to be the easy bit. While running 30-odd miles in a day would be hard and rowing a marathon a logistical nightmare, the challenge of a ride to Paris paled into comparison. We were wrong on that front too. We departed Calais (Nick’s hands bandaged to prevent further aggravation) in pouring rain and proceeded on a surprisingly undulating route south. Fields of wheat and maize, and towering wind turbines, framed much of our route as we dropped to Desvres and Hesdin. The general idea was to cycle together, but our quartet was continually splintering, with the man up front typically determined by the terrain. I prefered the climbs, Nick the flat, Will and Tom were solid all-rounders. We had split up again as we entered Amiens, but, miraculously reunited at the cathedral, ending 96 miles of effort. After easing weary, stiff bodies out of bed, and eating another unhealthily large but entirely necessary breakfast, the day two journey was more of the same – wide rolling fields and undulating roads – all the way to Beauvais. Leaving Beauvais we had our first accident: Nick was alerted by Will to the fact that the quick release bolt on his rear wheel was open. So shocked by this news, Nick immediately tried to bring his motion to a halt, only to be unable to drag a foot from a cleat. He clattered to the floor, cycle and rider flailing across the road. Luckily, the driver immediately behind him was his dad. Tom and I had cycled on obliviously, having only been alerted by a passing motorist. We cycled back, expecting the worst, relieved to find Nick unscathed. We launched into the Paris suburbs at Taverny and passed through an area twinned with Clydebank in Scotland before finding our passage blocked by cycle-free tunnels. We teased a way through, finding a less severe tunnel to dart through, bringing us to Puteaux. Soon we were pedalling through the Bois de Boulogne and then after two hours of tiptoeing progress through Paris we turned a corner and there it was, the Arc de Triomphe. We cycled briskly over the cobbles of Avenue de la Grande Armée to gain the roundabout ringing the Arc and simply rode straight across, forcing French drivers to either stop or run us over. They did the former, fortunately. If only the gendarme could have shared the motorists’ temporary generosity of spirit. There is a point to this. We are raising money for two charities, The Stroke Association and Kith and Kids. To sponsor us, please visit this site. At the time of writing, we have raised more than £2100. 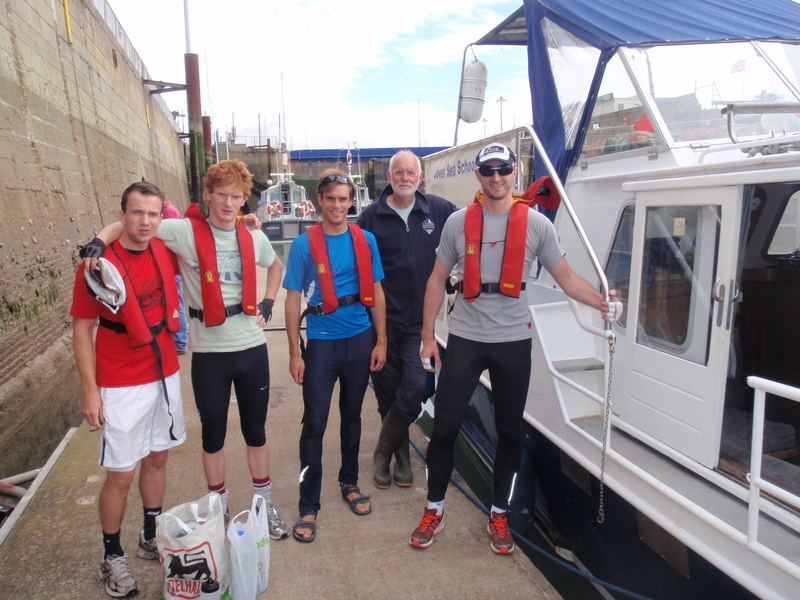 Previous Post London to Paris: running, rowing and cycling – please sponsor! Good work bud – and congratulations!